The best way to start your day? These Healthy Tiramisu Overnight Dessert Oats, of course! Skip the processed, pre-packaged, storebought oatmeal that lacks both flavor and nutrients and make your oatmeal at home. You’d never know this is sugar free, high protein, and gluten free! Pretty sure this is the best breakfast EVA. Skip storebought oatmeal that lacks flavor and nutrition -- make it at home! 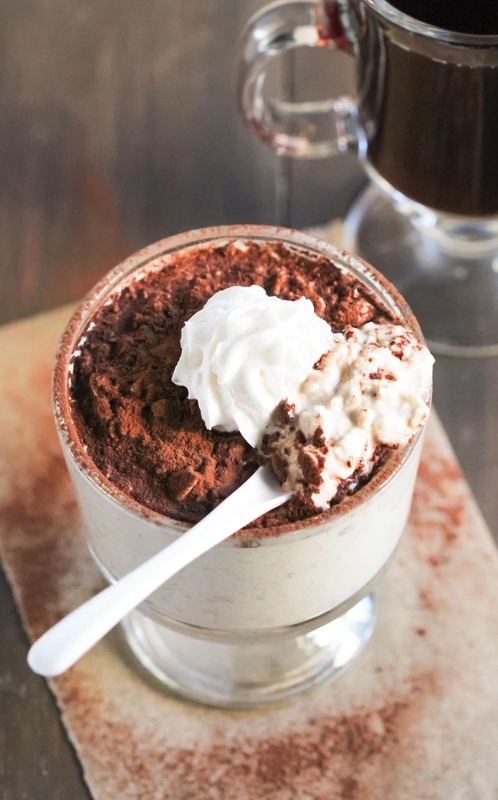 This recipe for Tiramisu Overnight Dessert Oats is sugar free and gluten free. In a bowl, stir together the oats, packeted sweetener, and salt. Pour in the milk and coffee, then stir in the yogurt, mascarpone, and vanilla paste. Cover and refrigerate overnight. 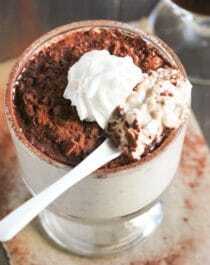 Dust the cocoa powder over the oats before serving, then enjoy! This quick and healthy recipe is packed with protein, fiber, whole grains, vitamins, and minerals. No need for the added sugar! This was so yummy! For sure I’ll be making again! Thanks for sharing! Wow thanks for sharing! Made this earlier and soooo glad I did. 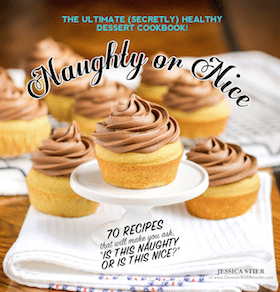 I was wondering if you ever thought of making a cookbook on healthy desserts? But it seems a bit biased… I was wondering if you ever read it? 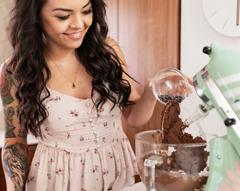 Seems like a great source but after making desserts for a long time and reading tons of books and blogs I think it’d be a great idea for you to write a dessert cookbook yourself! 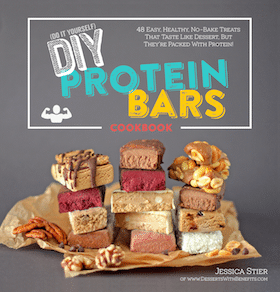 I have actually written two cookbooks: 1) the DIY Protein Bars Cookbook and 2) the Naughty or Nice Cookbook. I’ve never had a chance to read Kelley’s book, but the sample pictures make it look good!